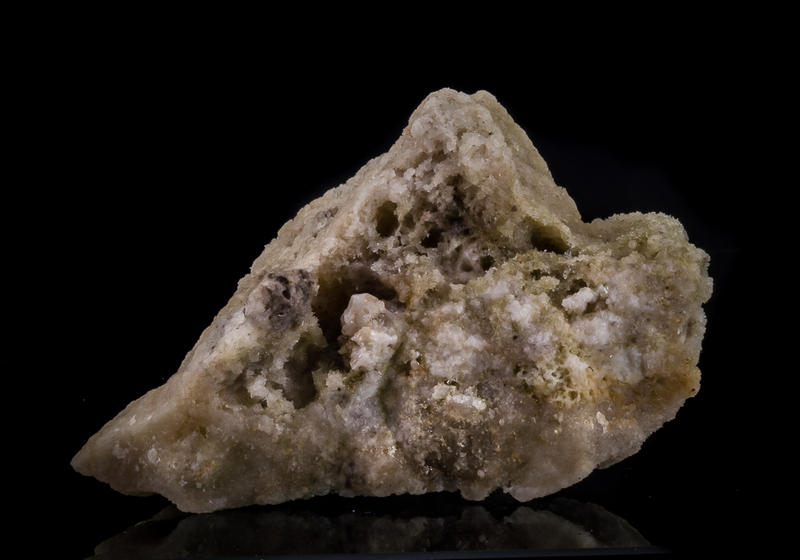 Unique and first found in the 1970's in a Calcite / Dolomite outcrop near the village of La Sassa.. Analysed by the British Museum in 1972 and confirmed to be a rare occurance of fluorescent quartz. 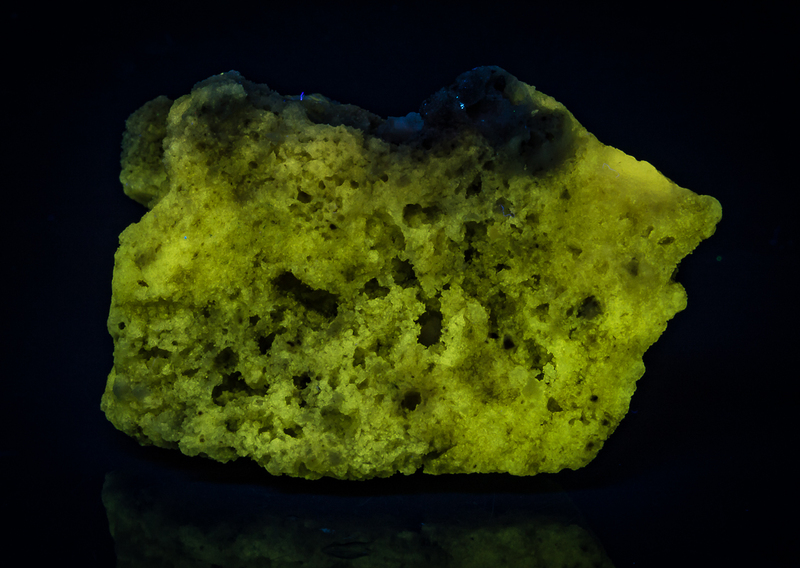 The quartz fluoresces under all UV wavelengths (SW-MW-LW). ▪ Dallegno, A. & Mazzoleni, G. (2012): A Preliminary Report: The Glowing Quartz from La Sassa, Tuscany, Italy. Journal of The Fluorescent Mineral Society, 32, 15-37. This article portrays the geological and structural setting of the La Sassa area and the paragenesis, morphology, and luminescence of the carbonate-hosted glowing quartz found at this locality. 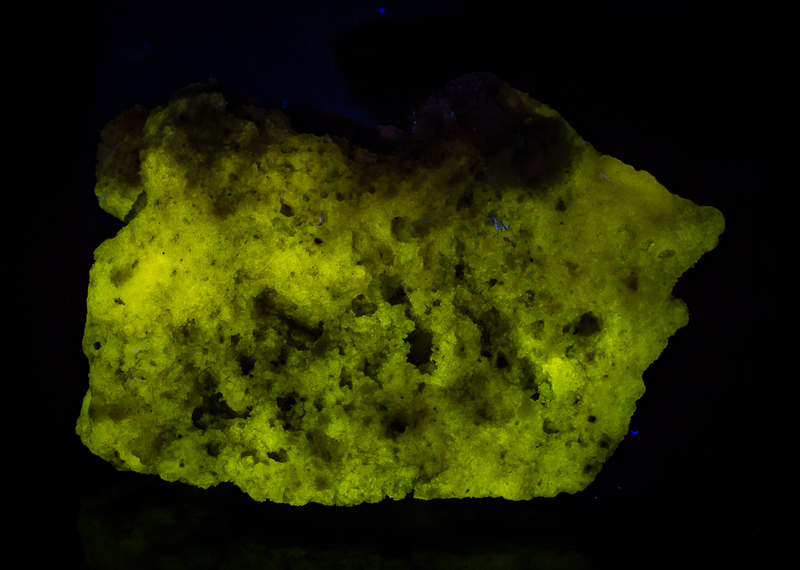 The authors believe that this fluorescing quartz is genetically linked to an early stage of hydrothermal metamorphism of the Larderello geothermal field, where the La Sassa vein system is a component of its peripheral zone. Hydrothermal metamorphism is characterized by magmatic fluids with high concentrations of electrolytes (NaCl, KCl) and silica (REE, B, F, Cl, Li, Al) according to Gianelli & Ruggeri, (2000); Ruggeri et al., (2011). These fluids (T= 400–600 °C and pressure 100–140 MPa) migrated upward to land surfaces, along extensional faults. For the first time at La Sassa, some siliceous sinter outcrops have been individualized and described. They are due to intense subaereal hot springs activity, which are spatially and genetically linked to carlin-type gold mineralizations. 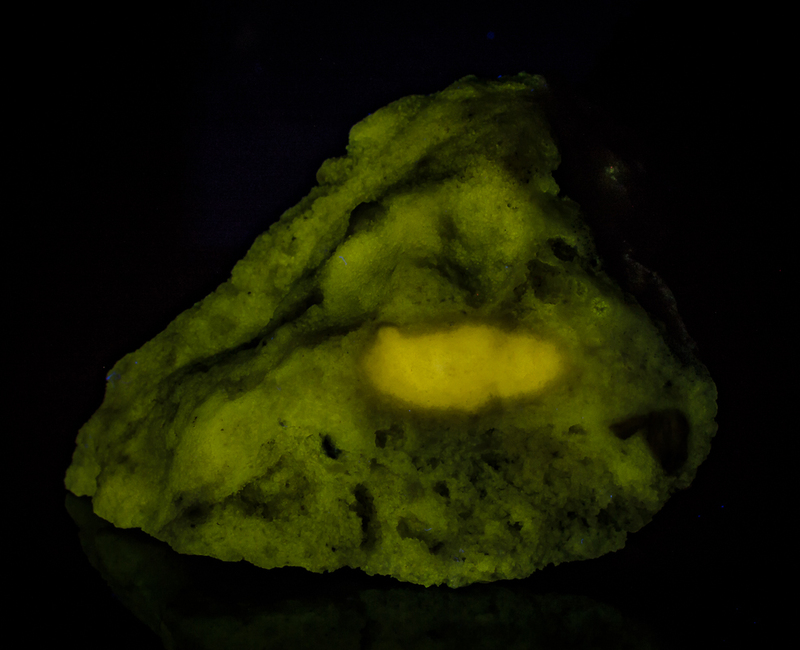 Fluorescing quartz originates in outcrops located in the most tectonized area, with the strongest (hot spring) hydrothermal activity. In today rocks which correspond to fossil siliceous sinter deposits, we found some remnants of glowing quartz. Several different generations of quartz, both fluorescing and non-fluorescing, have been described. 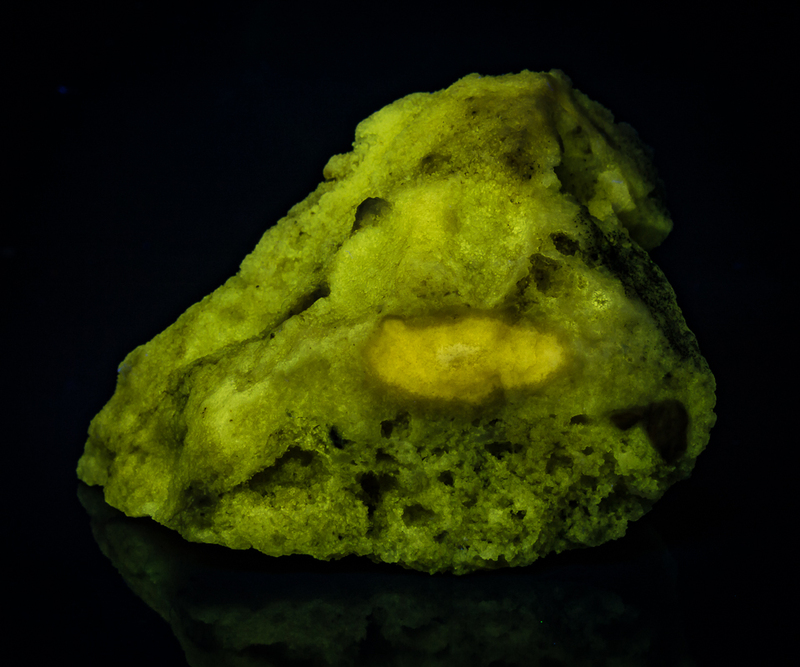 Within the bright lemon yellow fluorescing quartz, the authors could individualize the presence of: (1) electrolytes and lithic fragments of tourmaline (dravite- ferridravite series) as solid inclusions within the radiating fibers of quartz; and, (2) a rare artichoke quartz which is typical of an environment where conditions forced a rapid growth of the crystalline aggregate, and has an abundance of trace elements like (UO2)2+, REEs, PAH, Al, Na, B, Li, Zr, and F.